I know! I know! 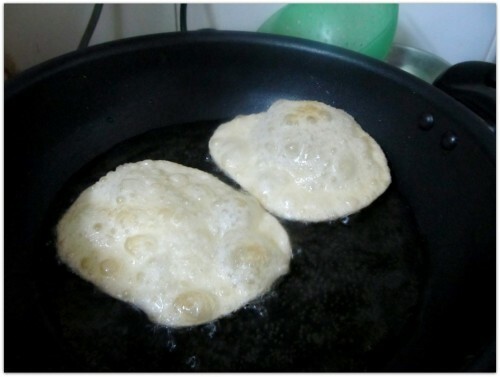 Who posts recipe of luchi? But luchi was always something very hard for me to master. 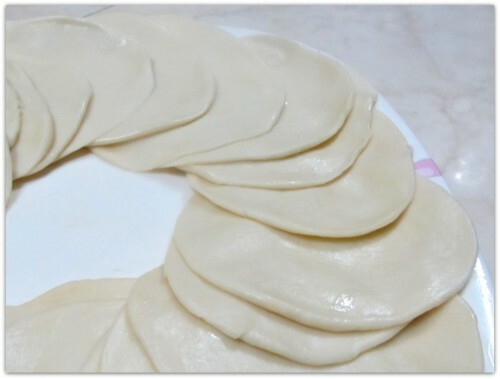 This was the only dish my didima (Grandma) ever taught me and that idle afternoon is still sketched in my mind. 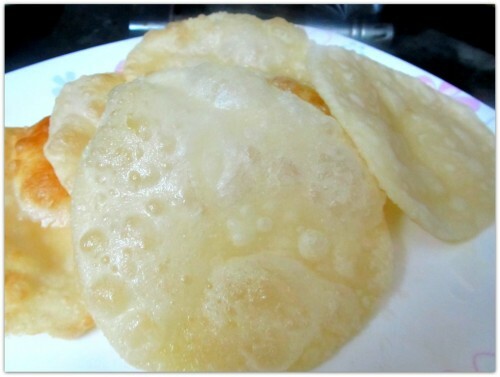 That was decades back, and when I tried first time on my own I could not finish even a single one. 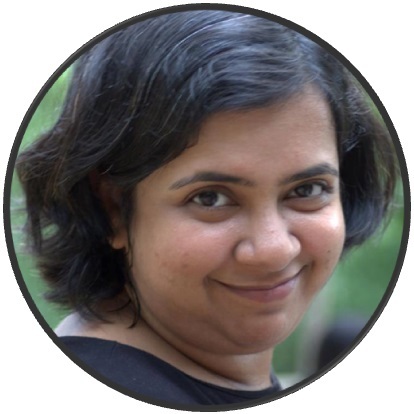 That was also a long time back. I tried a lot of times since then; even if I overlooked the shape, I could not overlook the hard or rubbery texture that it ended up with. 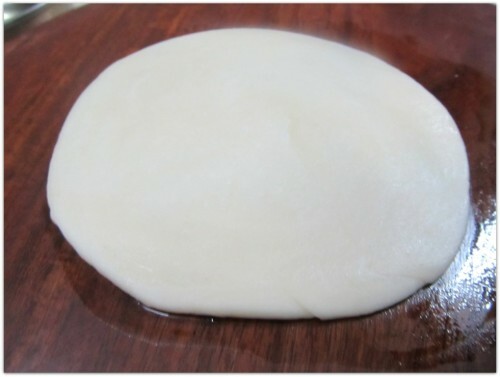 However, after a lot of trials and lots of errors, I can finally say that nowadays I do make a decent batch of luchi and this is how I make it. 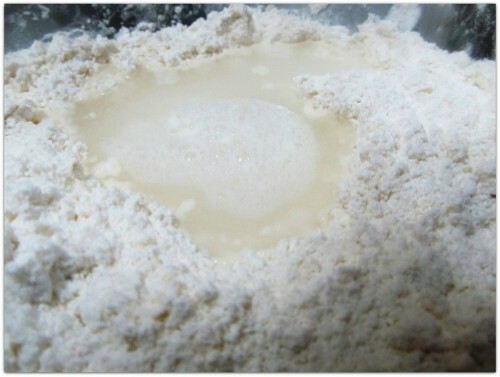 In a bowl take the plain flour and add 1 tbs of oil and mix well. 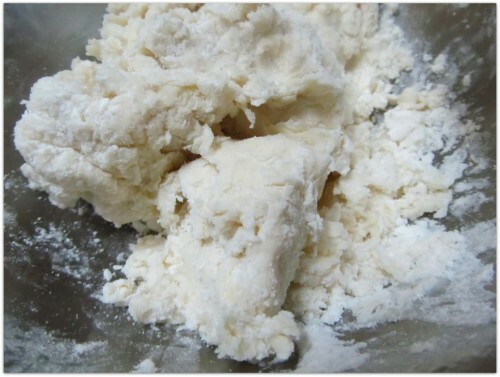 Slowly keep adding the water in the flour and kneed till you get a firm but little sticky dough. 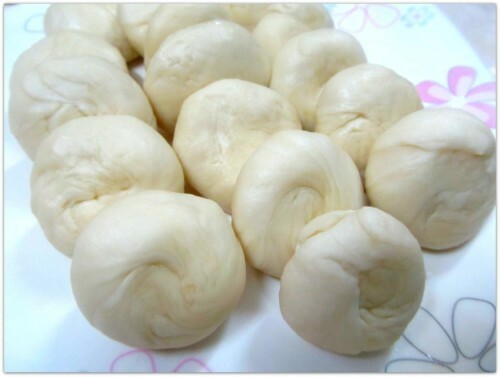 It is better to rest the dough for at least half an hour. 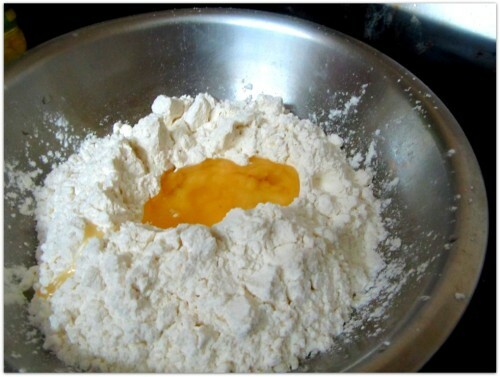 Cover the bowl and keep it aside for half an hour. 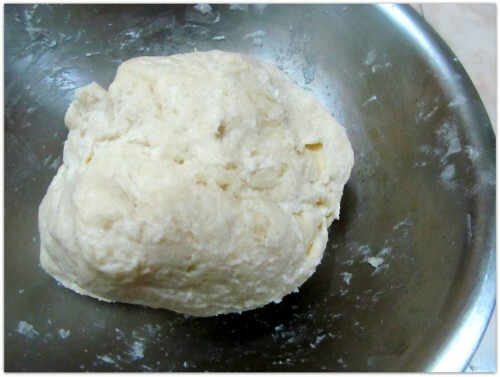 After the dough is rested, kneed it for sometime more, if it is too sticky sprinkle some flour and kneed. 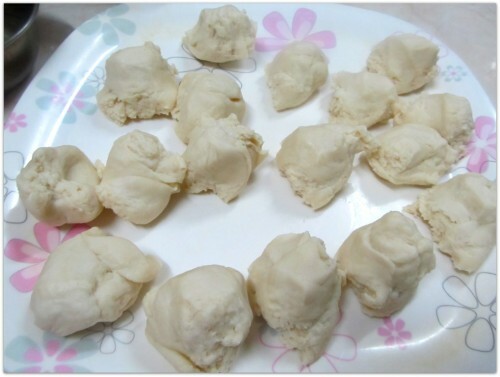 Divide the dough into small 1 inch diameter balls. Rub a little bit of oil on both of your palms. Take one ball at a time, gently press and create a circular motion with both of you hands till the ball smoothen. Repeat for each one of them. 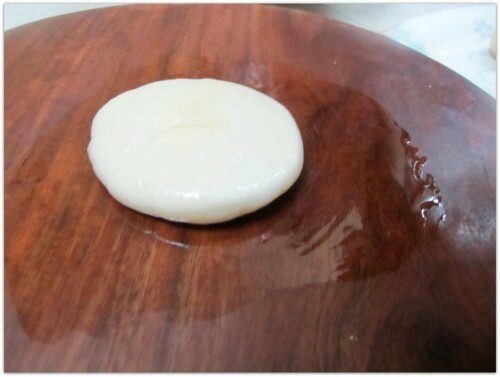 To roll the luchi, take a wooden or metal platform. Apply a little oil on top and place the ball in the middle. Press to flatten it a little. 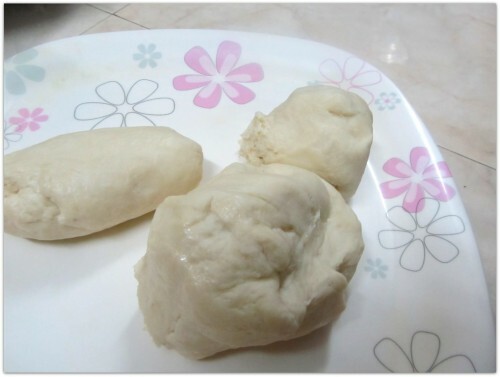 Then comes the hard part… making them circular. If you can not do it in the first go, try again. It will work, I promise! 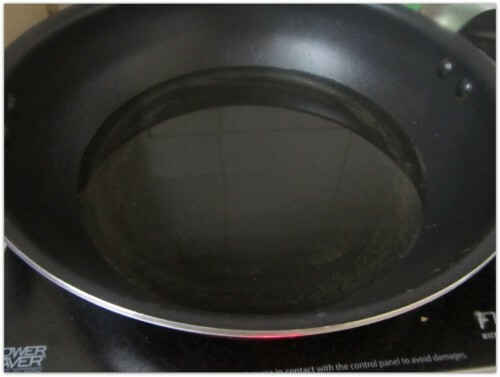 Put a kadai (deep bottom pan) over the stove and add a lot of oil (150 to 200 ml). Wait till it is hot. Then one by one lower the luchis in the hot oil and give a gentle stir and turn them over when you feel the bottom side is done. 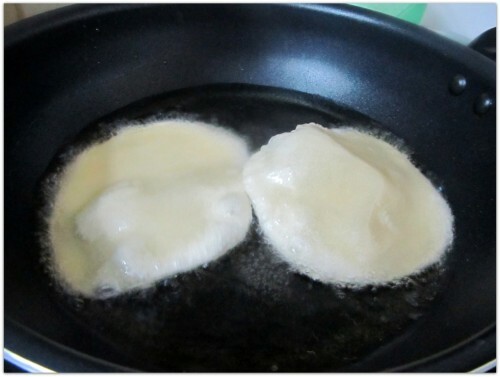 It does not take a lot of time to fry one single luchi may be half a minute each side if the oil is hot enough. Serve them hot with your favorite side dishes like kosha mangsho, paneer pasanda, motor paneer, aloor dom etc :). Thanks once again. I made biryani for the first time today and it was worth making as per your recipe.